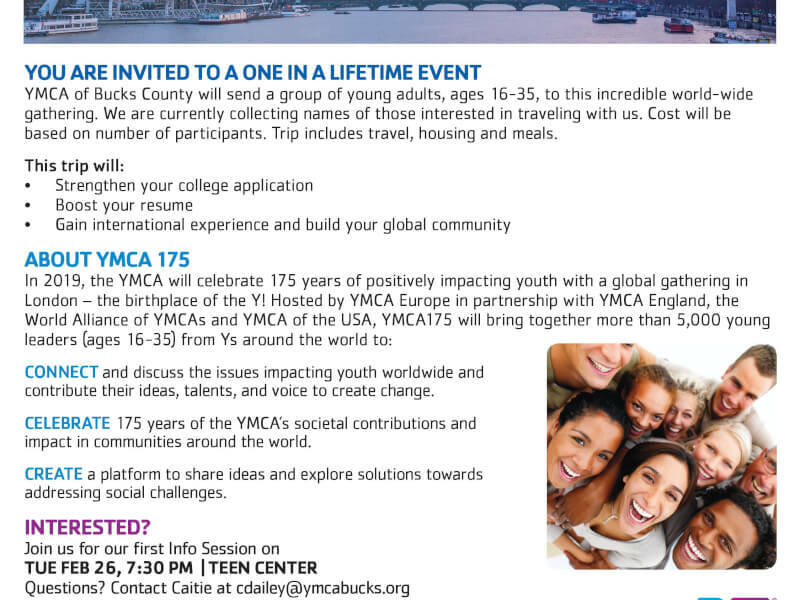 Below is an opportunity for our students stemming from our partnership with the Bucks County YMCA. The below opportunity is for any of our students who will be 16 by August 2019. If you are interested in more information and would like to attend an information session in the CEC Center for Student Leadership, please follow the google form link and RSVP "Yes". contribute their ideas, talents, and voice to create change. impact in communities around the world.